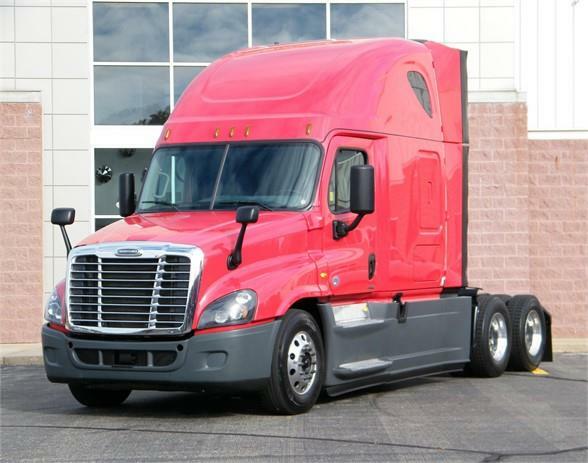 2016 Freightliner Cascadia-Detroit DD15, DT12 Auto transmission, two beds, air slide fifth wheel, pw, ac, cruise, tilt & tele steering, dual 100 gallon fuel tanks, double high back air ride seats. We will include for FREE a 60 days buyers assurance policy plus a FREE 1yr/100K miles engine, transmission and rear diff warranty. This also qualifies under the SelecTrucks All Star Program which will include one of the three following incentives FREE to you...YOU CHOOSE either up to $3000 down payment match, $3000 credit towards new tires or a $3000 credit towards the purchase of an extended factory warranty. Choose your way that best fits your needs. We will also have the truck ready for you with a fresh detail, service and DOT inspection.